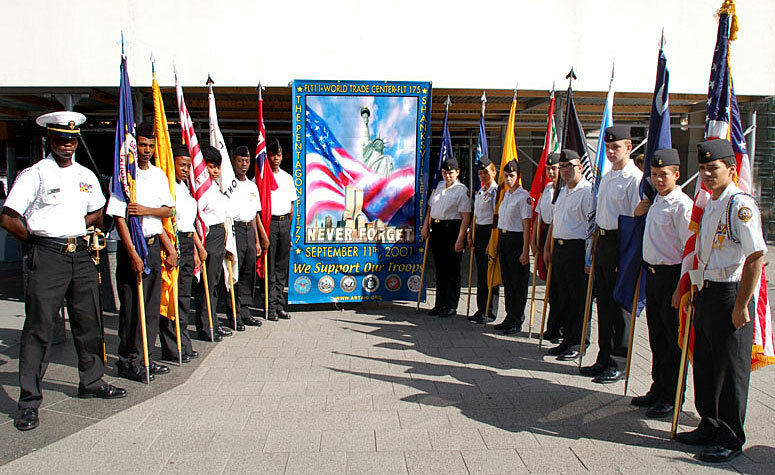 Members of High School of Graphic Communication ROTC Honor Guard flank ArtAID Support Our Toops Banner. Nam Knights Honor Lost Brothers at Vietnam Memorial. VIETNAM VETERANS MEMORIAL, NYC -- 2007: Hundreds of members of the Tri-boro Chapter of the Nam Knights Motorcycle Club presented a wreath in memory of their lost brothers at the New York Vietnam Veterans Memorial in lower Manhattan at the Walk of Honor that lists the names and ages of 1,741 individuals who entered the military service in the City of New York and were lost to the Vietnam War. ArtAID Support Our Troops banners hung at the entrance to the event that featured the ROTC Color Guard from the High School of Graphic Communication Arts in New York City. See Pictures Here. 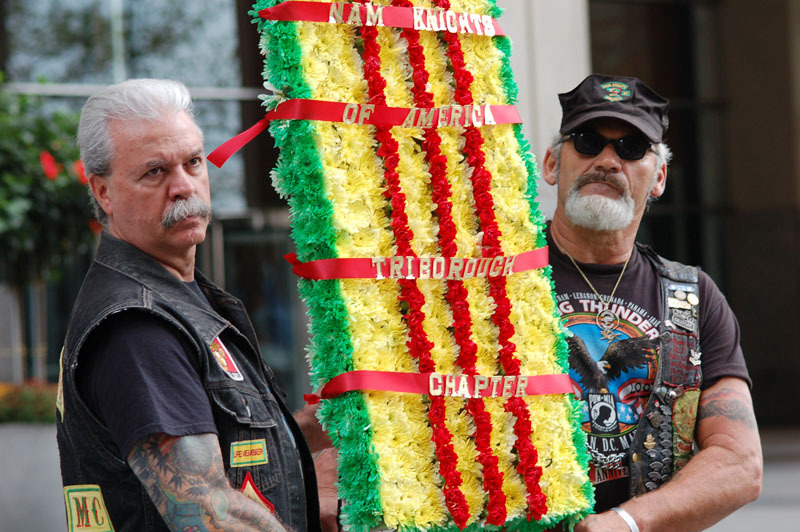 Members of Nam Knights present a wreath to the Vietnam Veterans Memorial in Lower Manhattan. See more photos. Special Edition prints, customized to your specific cause, benefit or fund raising project, are available for distribution only to bonafide charitable organizations. Please email us to submit your request.